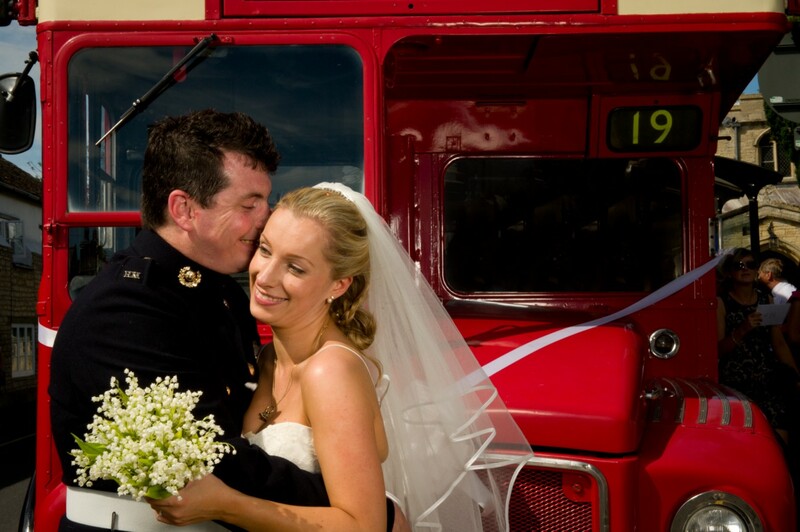 Laura and Cassidy were married at St Gulflacs church in Market Deeping and held their reception at the William Cecil in Stamford with a marquee. 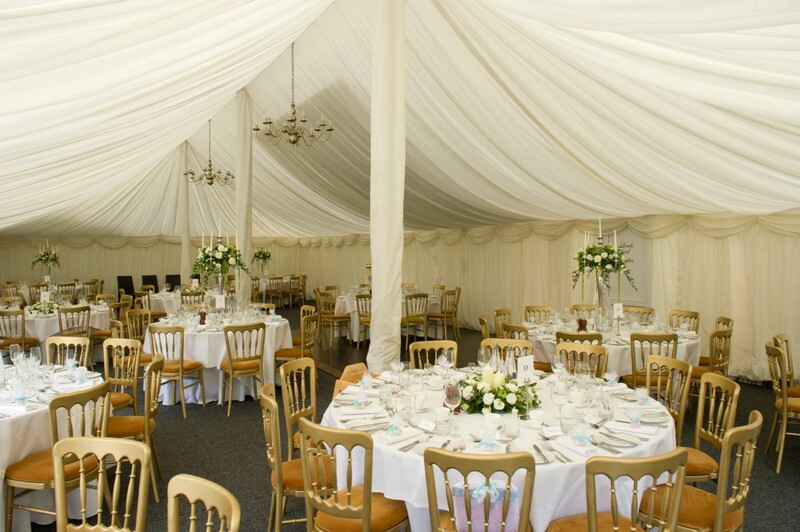 The theme was elegant and chic and the colour scheme was a classic green, white and cream. 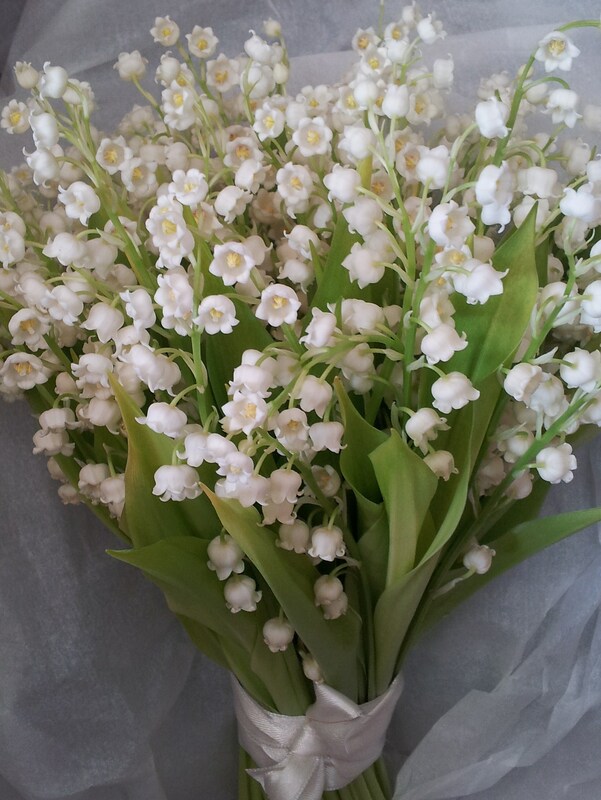 Laura and Cassidy chose Lily of the Valley and amaranths for their wedding flowers. 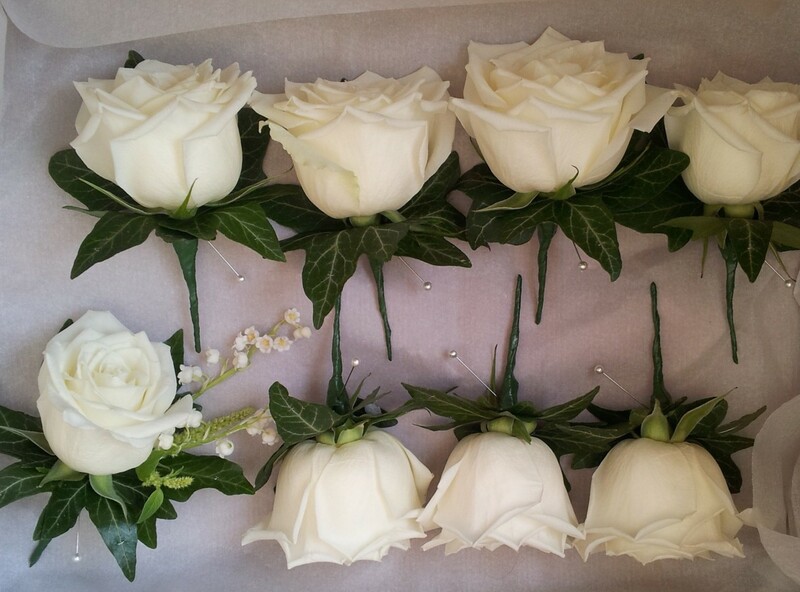 The bride wore cream and the bridesmaids’ navy blue and all carried loose hand tied bouquets. 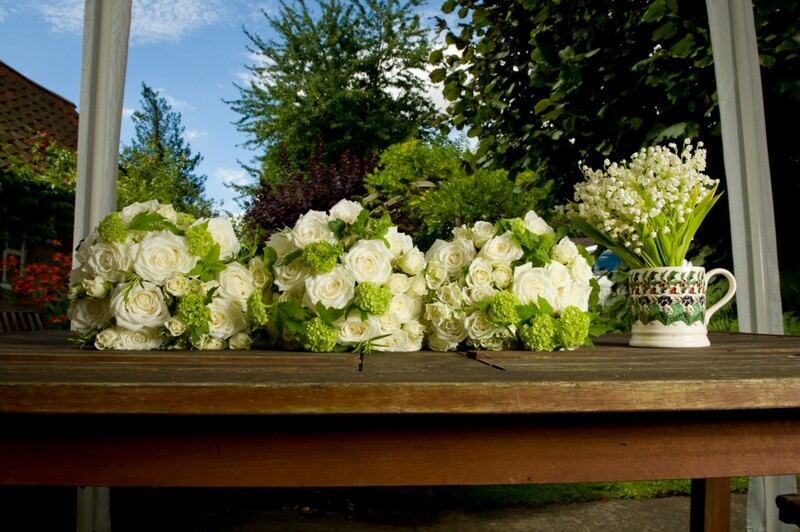 Pew ends of cream hydrangea made a striking impact in the church and the flowers arrangement on the venue tables were expertly woven onto prominent candelabras and circlets. I was quite clear on what I wanted. Traditional and vintage, white and cream with green foliage, I’d seen something that Rebecca had done before and it gave me the idea. I wanted something that was traditional and classic but a little more undone and a bit wilder. Rebecca really got what I was saying straight away, I didn’t have to hammer it home - traditional, classic and chic, but not too boring! Rebecca made sure that I could find flowers in season but I was not negotiable on the Lily of the Valley; it wasn’t in season but I really wanted it and Rebecca found it for me no fuss. Rebecca was clear about the cost and there weren’t any surprises when I got the bill, it cost what she said it would. 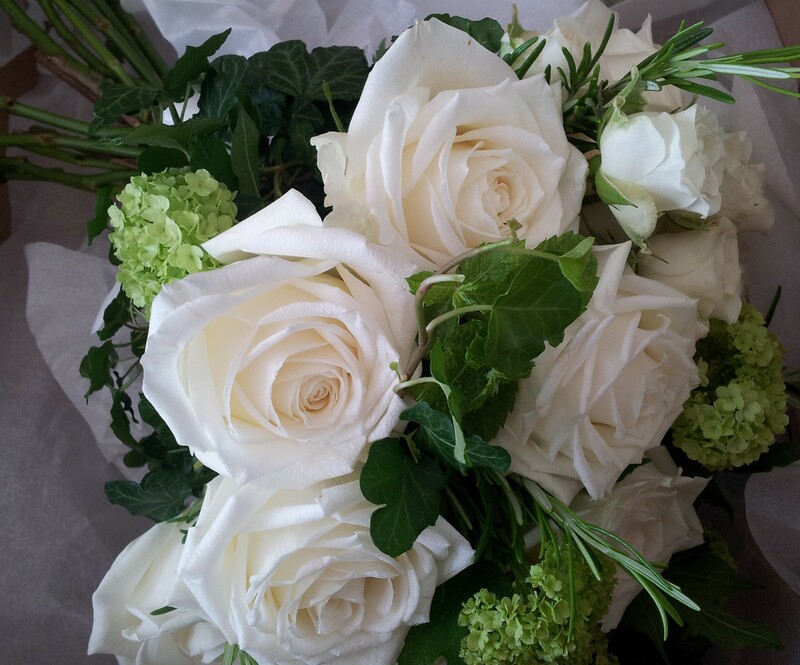 I did look at other florists but Rebecca was recommended to me by someone and I trusted her to do what I wanted, so I didn’t feel I needed to look at other florists. The flowers were beautiful and amazing and I’m very happy with what Rebecca did. One of the guests at the wedding writes the gardening column for the Daily Telegraph and she was amazed that Rebecca had been able to find so many Lily of the Valley in mid August! 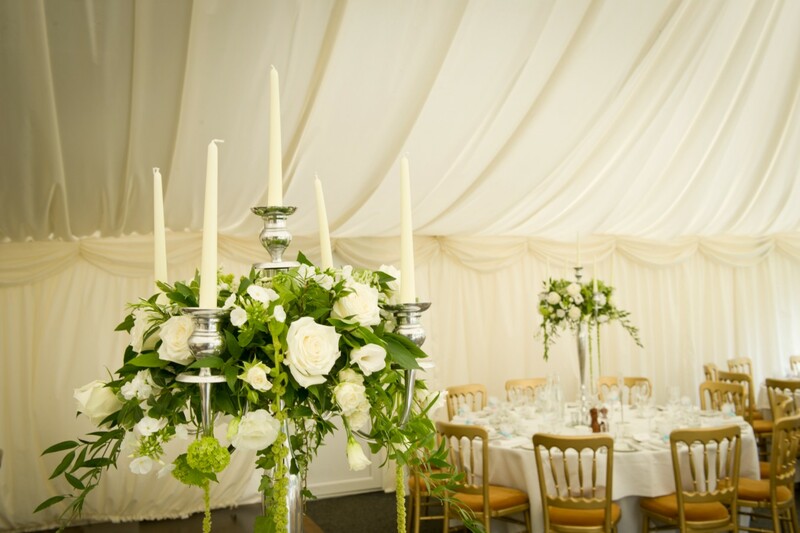 I had lots of good comments about the candelabras with the trailing amaranths. I am completely happy with what Rebecca did and have already recommended her to friends and will carry on doing so.